Werewolves, also known as lycanthropes, have captivated movie-goers for over 70 years. However, the tales and history of these shape-shifting beasts stretches much farther back in history. A werewolf is quite different in appearance than a typical wolf, according to the History Channel’s “MonsterQuest.” A werewolf stands approximately 6 to 8 feet tall with a large upper build and long, sharp teeth. The body typically resembles a large, hairy human with a wolf or bear-like head and face. But before American pop culture, stories of werewolves were present in many different cultures across the world. Perhaps one of the most famous cases of lycanthropy from European history is the story of the Beast of Gévauden, which terrorized France in the 1760s, apparently killing around 80 adults and children. Modern historians believe that the acts were committed by a serial killer, a group of killers, or a pack of hungry wolves. However, wolf attacks are extremely rare, with only two North American attacks on record in the past 100 years, according to Living with Wolves, a nonprofit that seeks to educate the public about wolves. Prior to the modern era, werewolves were not considered mythical creatures and were even recognized by the Catholic Church and the populace of Medieval Europe. Throughout western and eastern Europe, werewolf trials paralleled the American witch trials. Throughout the 16th century, many supposed werewolves were tortured and put to death. A very famous werewolf trial case involved a man named Peter Stubbe, who lived in Germany around 1589. Villagers allegedly witnessed Stubbe transforming from a wolf form back into a human form. Upon his torture, he confessed to a variety of sinister acts including murder and cannibalism. The 40-year-old man was then put to death along with his daughter and mistress, according to the Historic Mysteries website. One of the oldest werewolf stories dates back to A.D. 1 when Ovid, a Roman poet, wrote “The Metamorphoses,” in which he describes a legendary king of Arcadia named Lycaon who tried to trick Zeus into eating human flesh. Zeus, not fooled, cursed Lycaon by turning him into a wolf. 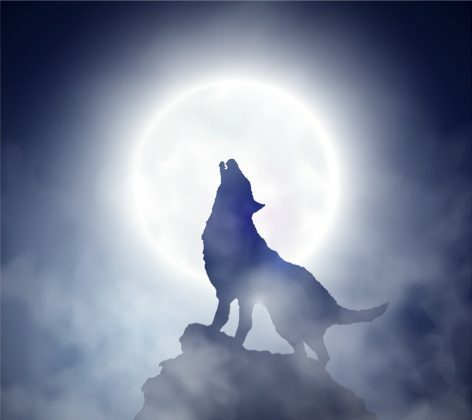 The word ‘lycanthrope’ in turn comes from ‘Lycaon,’ according to Historic Mysteries. In addition to the story of King Lycaon, there was a ceremony held in ancient Greece known as the Lycaea. It was held in honor of Zeus at Mount Lycaeus and supposedly involved human sacrifice and human transformation into wolf form, according to Plato’s “Republic, Book VIII” and the Encyclopedia Britannica. Additionally, according to the Greek traveler and geographer Pausanias, this rite may have been practiced up until the second century. Beyond Europe, werewolf stories exist in many other cultures. Particularly in the Navajo tribe, shape-shifters known as skinwalkers are witches that can turn into any shape they wish—wolf, coyote, and crow are some of their favorite forms, according to Animal Planet.